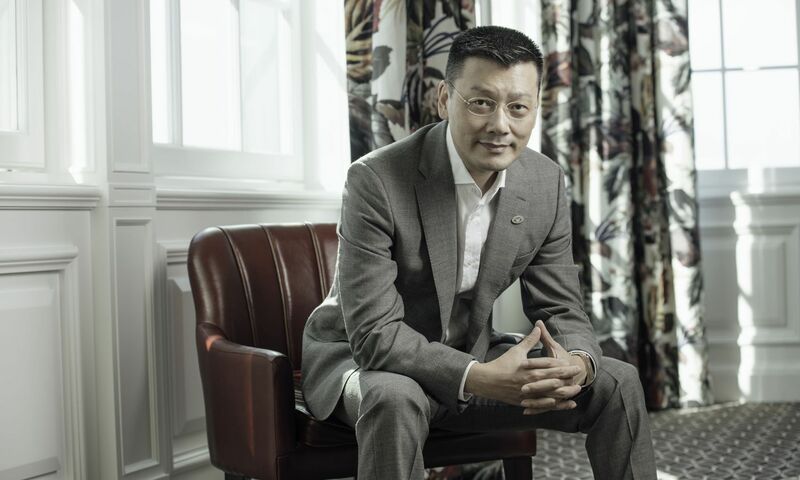 Best known as a food and wine connoisseur in China, Howard Cai is a self-taught food lover with ever-growing passion and curiosity over ingredients and cooking. For 10 years his restaurant “Howard’s Gourmet” in Guangzhou has garnered critical acclaimed as food lovers travel far for a taste of Howard’s personal take on what he considers to be ‘delicate Chinese cuisine’. I got into the restaurant business knowing nothing about it. Luckily I discussed with a few friends and in the process, I landed a restaurant space in Guangzhou, one that spans 8,000 square feet. I thought, let’s give it a try. In less than 3 months’ time, the restaurant opened in December 2005, and that’s the beginning of my culinary career. Back in the day, my restaurant served not a specific regional cuisine, but more of what I create and consider to be the best execution of the ingredients. I still do that at Howard’s Gourmet today, but 10 years ago it was something very unique, and critics were split either loving or absolutely hating my take on Chinese cuisine. I have a few mottos I stand by when it comes to cooking: Ingredients always come first; Always simplify complex kitchen systems; and always dissemble complex techniques scientifically. Cooking isn’t all about intuition. It has just as much about science as it is about art and feeling. It is just as important to value the transformation of protein structures, fibres, and forms of the ingredients during the cooking process to reach its optimum potential, or in layman’s terms, ‘deliciousness’. Traditional Chinese cooking is often lacking base of science, valuing more towards feeling what is right instead of studying specifics to perform consistently. Traditional Chinese cooking is facing a number of problems: Chefs not reading their ingredients correctly; over-Westernized style of cooking; and the lack of appreciation of the cuisine itself. The last part is a by-product of popularising Chinese cuisine. As the younger generation is exposed to more about Chinese cuisine, they become fascinated but somehow lack the curiosity to find out more, and go an extra mile to experience the true identity of these cuisines. When they think of Sichuan cuisine all they could think of is the chilli, but there is much more – the spices, the depth, the way ingredients are cut, sliced, prepared, plated. All bear cultural importance for the heritage each cuisine is. At Howard’s Gourmet, we don’t train chefs to do just one task. Each chef in the team will need to learn every dish possible, starting from knowing the ingredients, preparing it and plating it from beginning to end. It is necessary, I think, to master the whole process. A lot of people take pride in sourcing the more exclusive and expensive ingredients out there. On the other hand, I think it is much more difficult to craft the best out of a humble carrot, and that’s how I proceed with my food. I don’t necessarily need to use the most exclusive ingredient, but a surprise is in order for a humble carrot, or melon, or squash to be crafted on my plate. I don’t put a label or name on the cuisine I served. You can call it contemporary Chinese cuisine, but I truly believe my mission is to create deliciousness, and only a general consensus of deliciousness gets you the recognition of a good restaurant, more than anything else. At my restaurant in Hong Kong, we do not offer a la carte options, at least not right away. Instead, we create a personalised menu as you make a reservation. Of course we will have signature dishes like crispy sea cucumbers but our approach is to design a menu for you with the best the market offers, often decided on the day of the meal. Your meal begins with a small serving of soup to warm your body, followed by small snacks to start the meal, preparing you for the main courses to come, and finish with carbs and desserts. It may seem Western in form, but the execution and the food is all Chinese.